In essence, Manchester Press epitmoses all that is Melbourne. 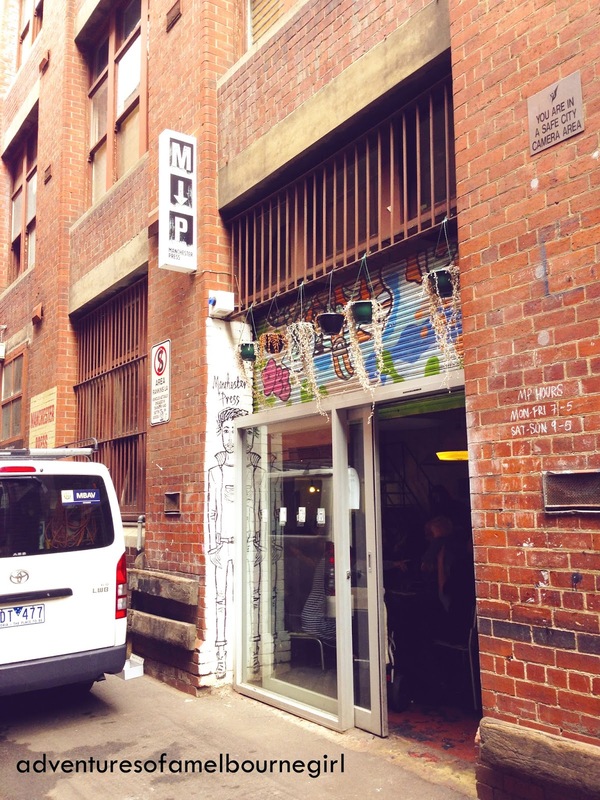 Laneways, good coffee, and a total New York wannabe. I was invited to have brunch here with a friend who's knowledge of good food and coffee in Melbourne far surpasses my own. Of course I would trust her judgement. So when she took me down this grungey looking alleyway, rather than fear for my life, I was giddy with excitement. This perfect hole-in-the-wall cafe, neatly tucked away from the busy Elizabeth Street, is hard to notice at first, but this just adds to its charm and enhances the experience of finding this hidden gem. I didn't need to study the menu for long. 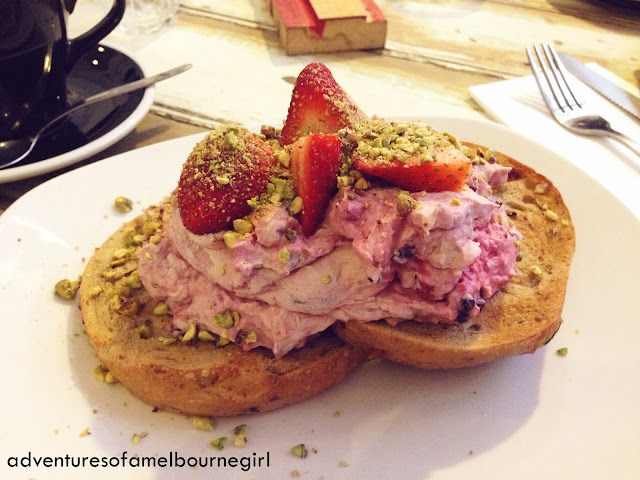 Being a massive sweet-tooth, I was immediately drawn to the Fruit and Nut Bagel with berry marscapone. LOOK at how MUCH MARSCAPONE THEY GIVE YOU! It wasn't too sickly, and it's light and creamy texture was the perfect match to my lightly toasted bagel. Party in my mouth, I tell you. I was salivating just reading it on the menu, and all throughout my meal, and even after I finished. The bagels range from $6 to $14, depending on how fancy you want to go for brunch. 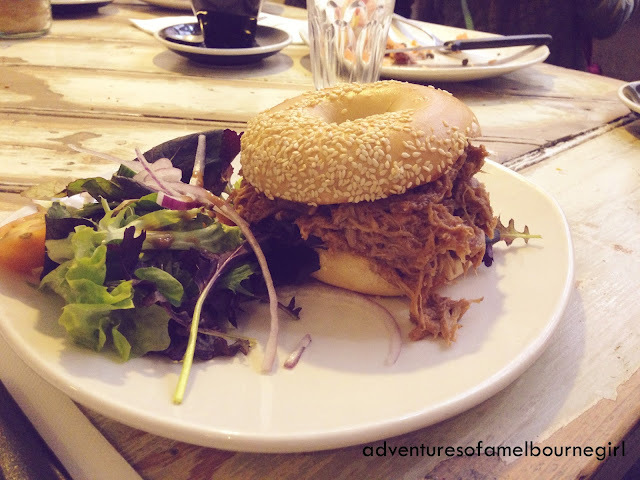 However, my belief is that you can always justify the price if the food is this amazing; and trust me - I will be back to try every other bagel on that menu.